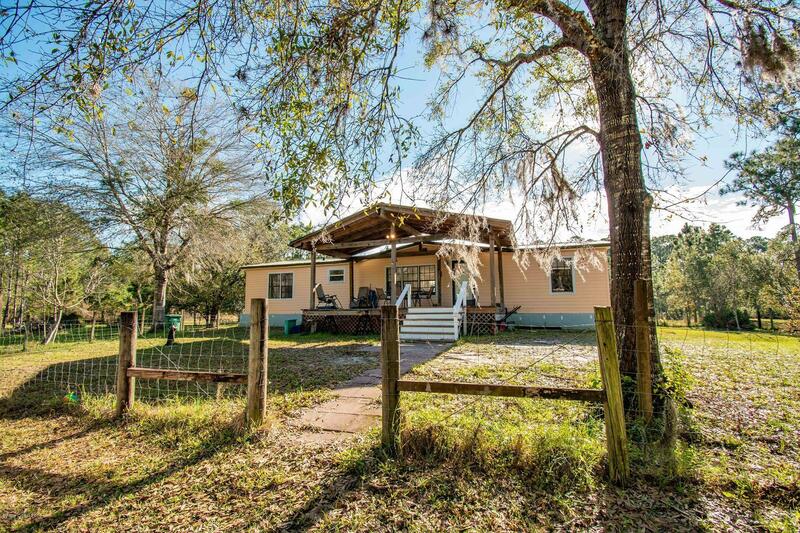 Country getaway on 5 acres in the gated community of Lake Harney Woods. This 3/2 double wide is directly across from the community boat ramp. Brand new A/C and water heater. Each bedroom has two walk in closets. Wood burning fireplace in the living room. Shed, circle driveway, two ponds. Livestock welcomed. Community boat ramp to Lake Harney, a 6000+ acre lake that connects to the St Johns River. There is a volunteer fire station in the neighborhood. Seminole County Schools. Close to Sanford, Oviedo & Titusville.